Legend has it that every time Billy Joel drives to a holiday party that has a piano, he knows that he's going to end up playing Piano Man by request. He's played it countless times before, but when he plays it again, people will like it. It won't be surprising or innovative, but it will be enjoyable. 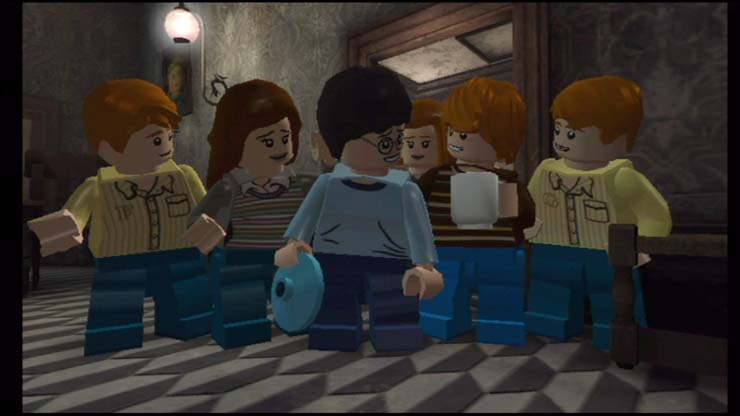 Not unlike Billy's repeat performance comes LEGO Harry Potter: Years 5-7: it brings few surprises, it does exactly what you think it will, and yet you can play it with a grin and feel better for having done so. Like most LEGO games, this one relies heavily on environmental manipulation; when you see the visual prompt, you'll point your Remote and hold A, casting Wingardium Leviosa at your surrounding objects to transform and reshape them to suit your needs. You'll learn a number of other spells as well, though they're not so universal in use, much like those of LEGO Harry Potter: Years 1-4. Lumos scares away pesky plant life, for example, and Aguamenti sprays water to fill up containers and put out small fires. There are a number of other actions you can perform as well: you can create potions, Hermione can use certain panels to rummage through her bag and the Weasleys can open Wizard Wheezes boxes to find tools like wall-climbing sticky trainers. You'll follow ghostly guides through the halls of Hogwart's from one plot point to the next, though going off and exploring is a big part of the fun. It's a true delight to make your way around the place, whether you're casting spells at arbitrary objects, flinging schoolmates about and watching them interact with each other or discovering hidden-away secrets. Once you get to where you're supposed to, the game will set you to accomplishing a task by the above named tricks or others like them, but by the end it grows somewhat tiresome as you'll return to the same or similar tasks time and time again. When you see a cauldron, you'll know to search for the displayed ingredients; when you see floating paw-prints, you'll know to get a pet out who can dig up whatever's buried; when you see an orange handle, you'll know that the components for a strength potion to help you pull it can't be far away. There's generally little lateral thinking required, puzzles instead requiring that you search for and respond to these visual cues. You'll watch huge, inventive transformations as you stand back, holding A while the game puts it all together for you. Many times you won't know why you're supposed to do something until you've done it, and you might find yourself manipulating and firing spells at random objects at times. This also makes the gameplay a great fit for a less experienced or casual audience as it's so straightforward, yet so imaginative. Does clearing books blocking a staircase by breaking apart and rebuilding scenery into a giant pair of false teeth to chomp the clutter away sound fun? If so, this is the game for you. The other major component is combat, which was never LEGO's strong suit. You can't die, you can only lose a number of studs, the series' currency, once you're drained of all your automatically regenerating hearts. While plenty of times defeating enemies is not the main objective, there are about as many instances in which it is, an unfortunate turn from the relatively battle-light Years 1-4. However, this entry shakes things up by introducing the duel, which puts you in the ring with an opponent and shoot and defend against wand-generated blasts. You'll scroll through your spells with the 1 and 2 buttons or by holding C and pointing to the desired option, selecting the correct colour as your opponent and then firing, followed by a challenge in rapid button-tapping to deliver a blow. It's by no means complicated, true to LEGO form, and helps break up the action. Beyond that, you'll face quite a few battles where you simply grab an object that your opponent throws at you and hurl it back at them, an element that we're quite ready for the team to retire. 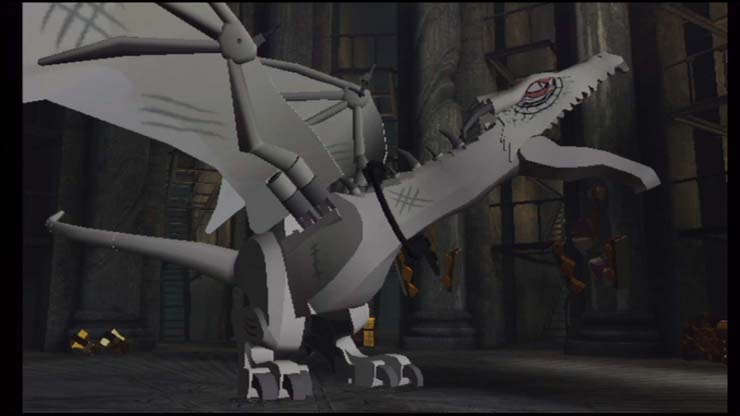 Of course, a LEGO game wouldn't be a LEGO game without its signature humour, balancing just the right amount of slapstick and heart to make you laugh riotously without it ever coming at the expense of the source material. It's largely what makes these games such a joy to play, especially to Potter fans, though laymen should be able to tell what's going on story-wise for the most part in spite of the toys' signature dialogue-free mumblings and pantomimes during the always enjoyable interstitial cutscenes. 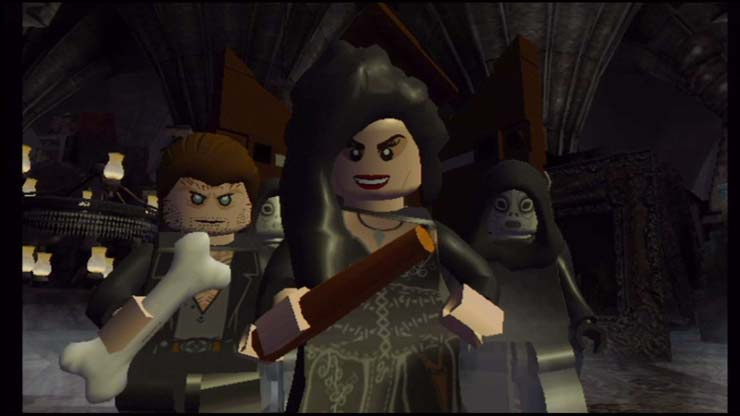 To truly enjoy a LEGO game, especially when Wingardium Leviosa is involved, environmental manipulation isn't limited to puzzle-solving alone. Making objects break apart and transform into others nothing like what they were before is half the fun, and this is possible with almost every object you see. You're even able to pick someone up off the ground and have them levitate in the air if you like. You can please your inner completist by collecting every stud and special object you can in doing so – no action takes place without an explosion of these currencies, which go toward cheat code-esque modifiers and unlockable characters as whom you can venture back through again in Free Play to access new parts of stages and more goodies. This may not be a terribly long game, but even once Voldemort is no more, that elusive 100% will remain far from complete. If you have a friend or family member who's always been the Ron or Hermione to your Harry, they can jump in or out at any time and join you for co-op play. It's a truly enjoyable experience as the light, comical and casual gameplay make a perfect match for such a feature. If you're going it alone, the CPU-controlled companion generally does well enough, though we did face a few times when they just got in the way. This is a truly pretty game, with great graphics and an impressive score enhancing just how alive and real the environment feels. One beautiful overhead shot of the Hogwart's Express cutting through the foliage amazes, and the soundtrack is just as effective and powerful as in the films. Another stage impresses by turning into a stylised, brown-tinted pop-up book to tell an old myth, surroundings springing up and falling down as you traverse this side-scrolling stage. A lot has changed since Harry's first year at Hogwart's, but we can't say the same for the LEGO series, which employs the same tricks as it has for years with few innovations. Light puzzle-solving is enjoyable and accessible but can feel repetitive, and somewhat tedious combat is unfortunately in heavier use than Years 1-4. Still, it succeeds overall at creating a fun, funny experience perfectly suited to less travelled players or those looking for something fun to do with their kid. 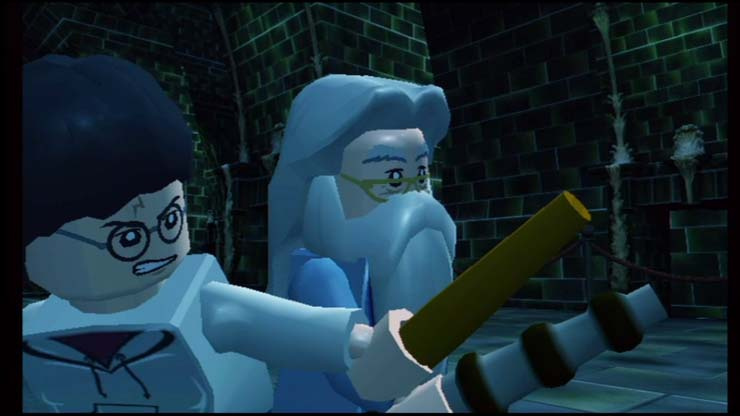 Harry Potter and LEGO fit together as well as the titular toys fit into each other, so while you might not find yourself spellbound, you'd be hard-pressed not to enjoy this entry. Happy 100th review to me! Also, the opening is a reference to this short story by Michael Ian Black — very funny, but some explicit material, so be warned. An 8 for me like 1-4. After Lego Star Wars the complete saga this is the best one along with 1-4. Real fan of Lego series on Nintendo consoles. @LEGEND_MARIOID It was pretty close! I also thought LEGO Harry Potter on the Wii was at least doing something new in comparison to its predecessors and finally uses its screen-pointing controls. 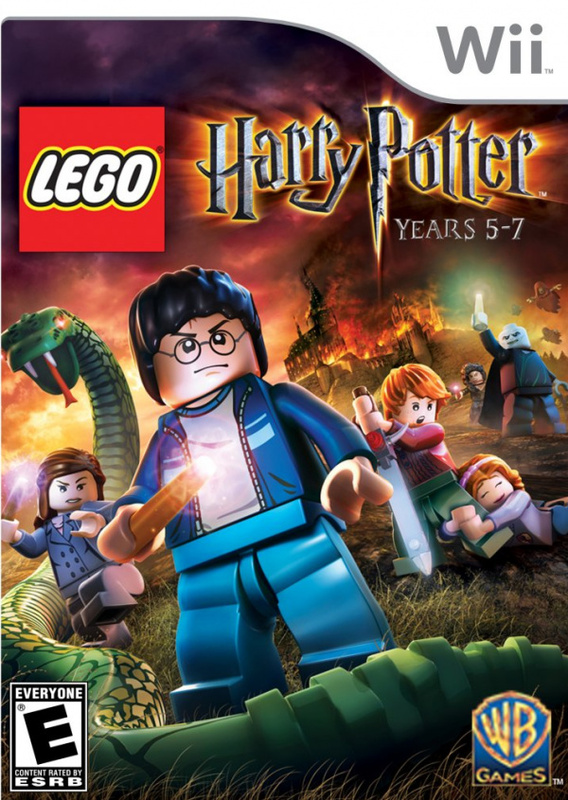 I'll only get this game for cheap though since gameplay-wise all the LEGO are the same more or less. Won't pay a lot just because of the license. @Zach: Happy 100th ! Nice short story there. I'm sorta getting burnt out on this whole Lego game craze. I hear next they are doing Lego Lord of the Rings. Is it as glitchy as I've heard ? Anyone, anyone ? @lunarkitty No significant glitches in my experience. @Link79 I'm not tired of it until they do Lego Back to the Future. That'd actually be pretty awesome. Love back to the future! @Zach .... though of course 7/10 is a good score. BTW, thanks for actually going to the trouble of writing a proper full review for this game. Because it was merely "part 2" of the first Lego Harry Potter game, most reviewers either haven't bothered or written basic summary reviews. How is the glitchyness reletive to 1-4? I remember that I began to loathe 1-4 because of its many game-breaking glitches (two of which prevented me from getting 100% on separate occasions). After near 100%ing 1-4 twice, but being prevented both times, I got kinda pissed. Is that fixed at all here? @Godot I haven't tried to 100% it, but I didn't encounter any game breaking glitches on the way to finishing the main quest and doing some side stuff.